Bouncing between Phoenix and Seattle, Dogbreth has never found much worth in claiming a single place as its home. Similarly, the band’s sound may be rooted in folk, but it can flip between punk-ish rockers and laid-back breeziness just as easily. The A.V. Club is premiering “Steeping” from the band’s upcoming album on Asian Man Records, Second Home. 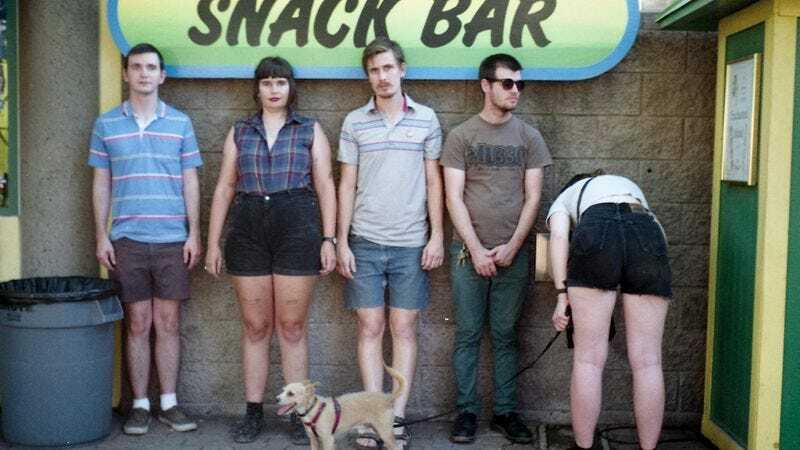 “Steeping” skews toward Dogbreth’s softer side, sounding a bit like one of Radiator Hospital’s downtrodden waltzes, and boasts a simple, effective chorus that feels akin to many of its former labelmates on Plan-It-X Records. Pre-orders for Second Home are available now.